077 – The Last Starfighter | All Eighties Movies. All The Time! This entry was posted in Podcasts and tagged action, adventure. Bookmark the permalink. I’m so damm excited I had to comment before I listen. You have made my week Angry and Gidgit. I’m giddy. Great Podcast Loved the story from Moose at the end, would pay to hear his voice on a regular podcast show, ask him back please. I finally felt I should leave a comment if that is ok. I love your podcast. The trivia has me looking like a right movie smart arse at work. I hope it’s not copyright! LOL. I love your energy together and I’m curious if you are school friends? I know Gidgit’s partner is Colonel the gif maker. Oh god I’m sounding like a super daggy fan girl but I listen to you every week on my lunch break and just as I finish my sandwiches I get to the end of your podcast so it’s perfect. I have actually been late back from work when your podcasts were longer so I blamed you both. LOL. Sorry. Keep up the great work. Not that you need me to say it. I LOVE your passion of my favourite era of movies, the trivia, the quotes, the music. I look forward every week to your next podcast like a crazy woman. Now I’ve been brave enough to comment I will send my top eighties movies that you have not podcasted yet. 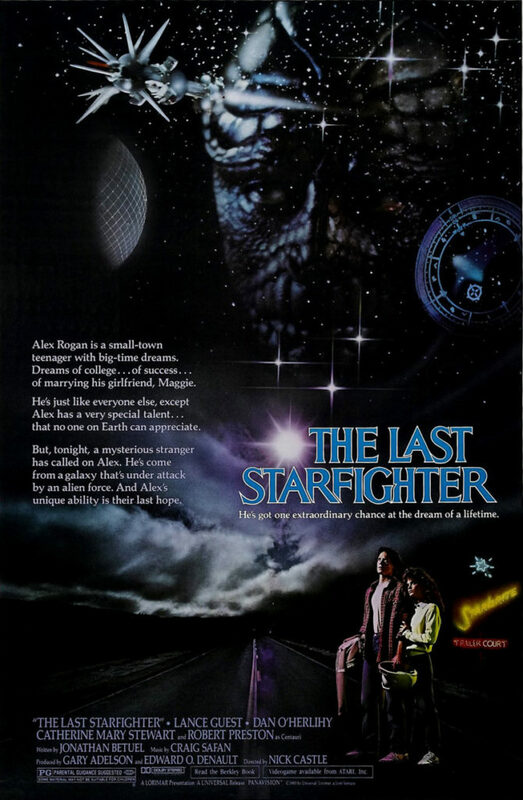 Going to listen again to your The Last Starfighter podcast now. I played your pod cast to my kids and I am now trying to find a dvd of The Last Starfighter so they will shut up! Made the biggest error of showing them Colonel’s gifs so all my fault! AWESOME podcast. I’ve listened twice now and going back to listen to more of yours. Heard you love 80’s movies on twitter and could not be a happier chap. How did I not know about you? So glad found you now. Telling my same age friends who love eighties movies.